With each of our recipes we always try to find new ways of incorporating Cricket Flours into our favorite recipes and dishes. For this recipe, we were inspired to recreate a gluten-free pancake recipe that was not only delicious, but that is a great source of protein and nutrition from the bananas, eggs, cricket protein, and almond milk. 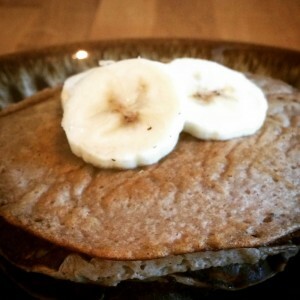 This Gluten Free Banana Pancake recipe with cricket protein cooks just like your normal pancake recipe made with baking flours, but will be slightly thinner but oh so good! 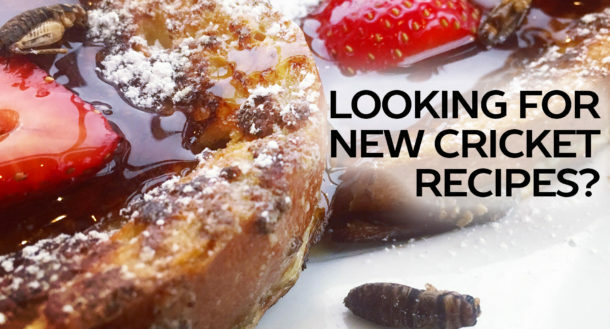 Check out the ingredients and directions below for learning how to make Cricket Flours new pancake recipe and let us know if you have any questions! For more delicious Cricket Flours recipes make sure to check out our full list and Cricket Flours store for your next party and event. In a small mixing bowl add 1 1/2 banana, eggs, Cricket Flours: 100% Pure, and almond mix and whisk together until the mixture is fully combined. Using a lightly oiled frying pan brought to medium heat, add 1/3 cup of the freshly mixed gluten-free banana pancake batter. Cook until until golden brown on both sides, and serve with your favorite toppings and the remaining sliced 1/2 banana. Enjoy!